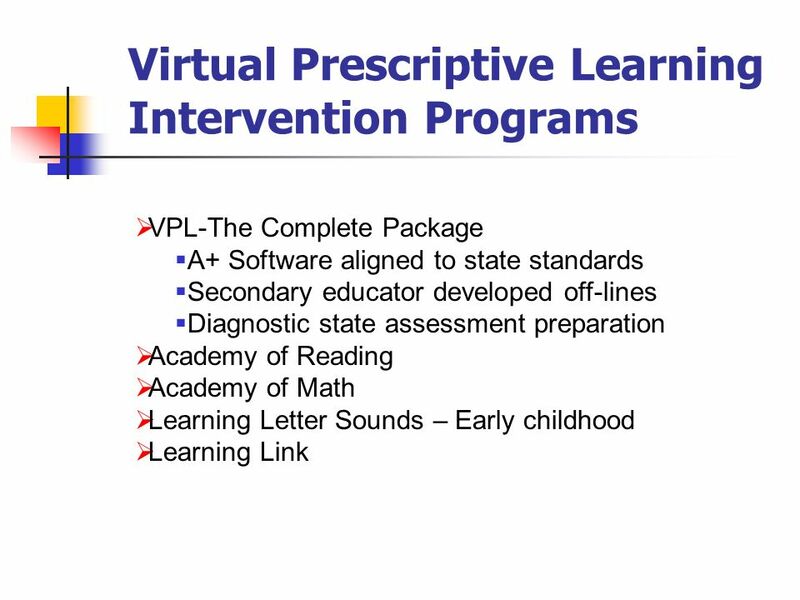 Viable Intervention for At Risk, Title 1 and Special Education Students. 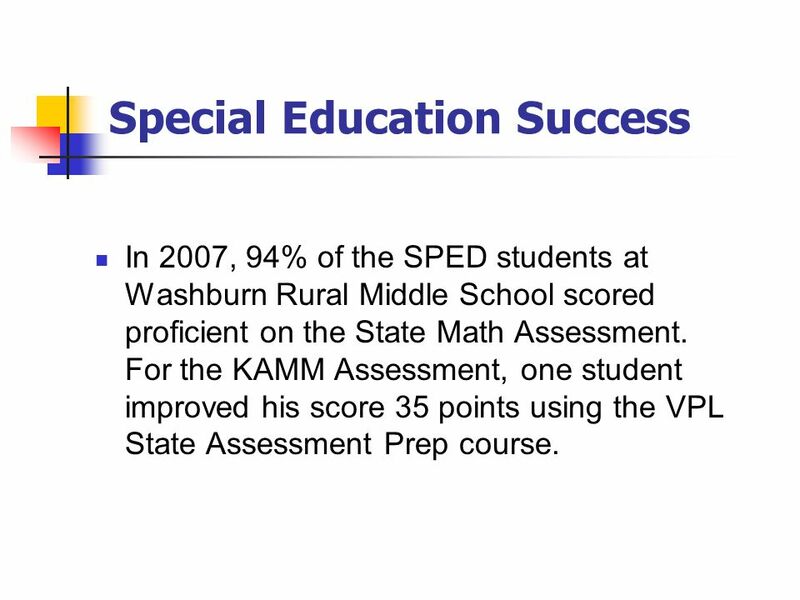 3 Special Education Success In 2007, 94% of the SPED students at Washburn Rural Middle School scored proficient on the State Math Assessment. For the KAMM Assessment, one student improved his score 35 points using the VPL State Assessment Prep course. 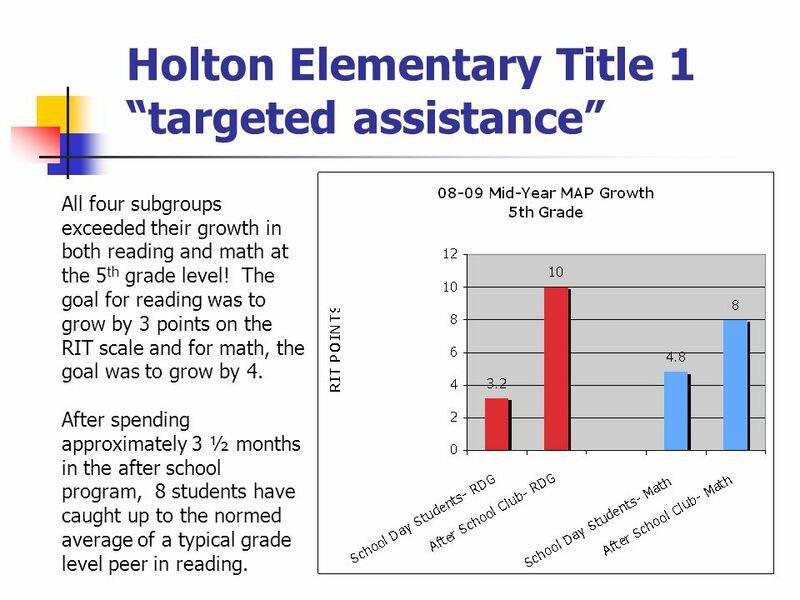 4 Holton Elementary Title 1 targeted assistance All four subgroups exceeded their growth in both reading and math at the 5 th grade level! The goal for reading was to grow by 3 points on the RIT scale and for math, the goal was to grow by 4. After spending approximately 3 ½ months in the after school program, 8 students have caught up to the normed average of a typical grade level peer in reading. 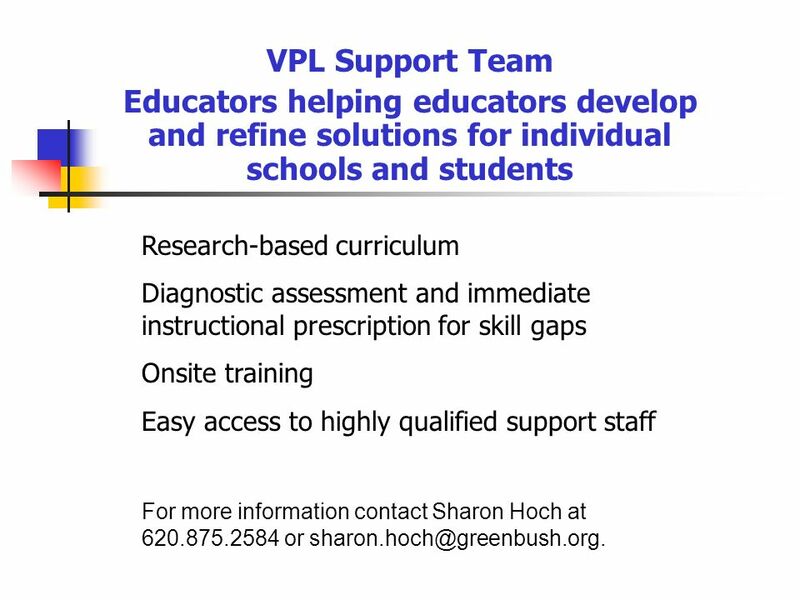 10 VPL Support Team Educators helping educators develop and refine solutions for individual schools and students Research-based curriculum Diagnostic assessment and immediate instructional prescription for skill gaps Onsite training Easy access to highly qualified support staff For more information contact Sharon Hoch at 620.875.2584 or sharon.hoch@greenbush.org. 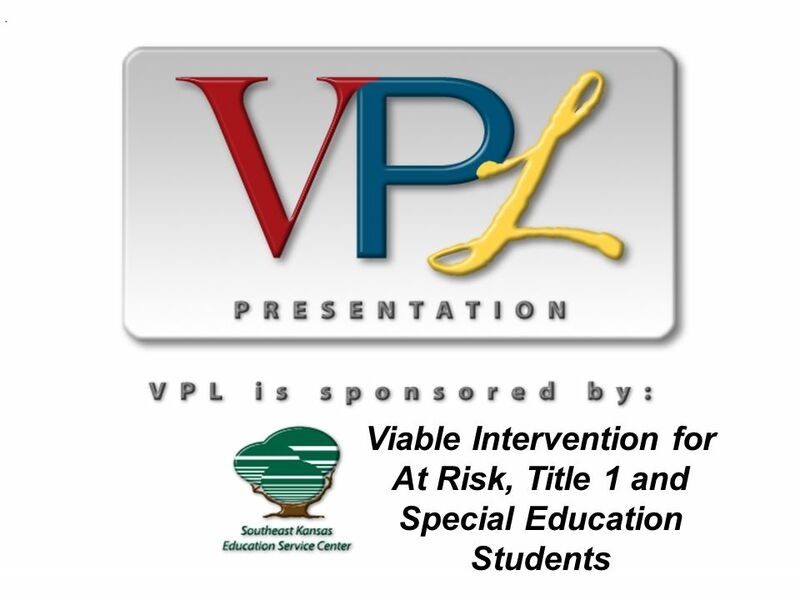 Download ppt "Viable Intervention for At Risk, Title 1 and Special Education Students." SAS and RTII ED 517 Spring Edward G. Rendell, Governor Dr. Gerald L. Zahorchak, Secretary of Education Standards Aligned System Integration Trainer. Guiding Principles Extends MAP measurement scale Recaptures instructional time Provides efficient administration Creates instructional and assessment. WHAT IS THE MOST IMPORTANT THING THAT WE HAVE LEARNED ABOUT QUALITY AND COST? The factors that lead to increased student learning and increased student. Dudley-Charlton Regional School District 2009 MCAS Information October 2009. 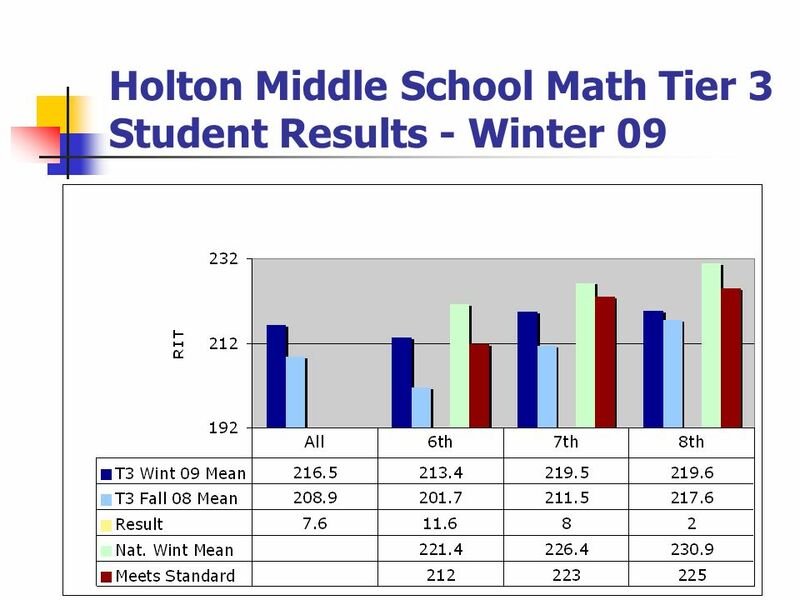 11/2/2009 SWAMPSCOTT PUBLIC SCHOOLS MCAS Results ~ Spring 2009. MAP Information Martha - introduction October 23, 2013. Before IDEA One in five children with disabilities was educated. One in five children with disabilities was educated. More than 1 million children with. 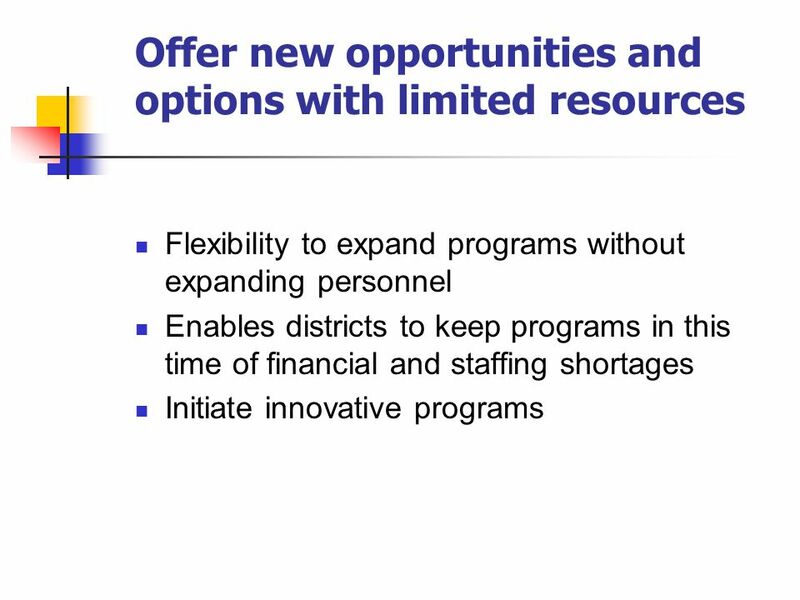 ESEA FLEXIBILITY WAIVER Overview of Federal Requirements August 2, 2012 Alaska Department of Education & Early Development. AMERICAN COMPETITIVENESS INITIATIVE U.S. Department of Education. Pleasant Hill Elementary School Winfield, Illinois Mrs. Ann Piccione, Curriculum Leader Dr. Margo Sorrick, Assistant Superintendent Leading for Learning. Kansas accreditation is:  1.A school improvement plan  2.An external assistance team  3.Local assessments aligned with state standards  4.Teachers. 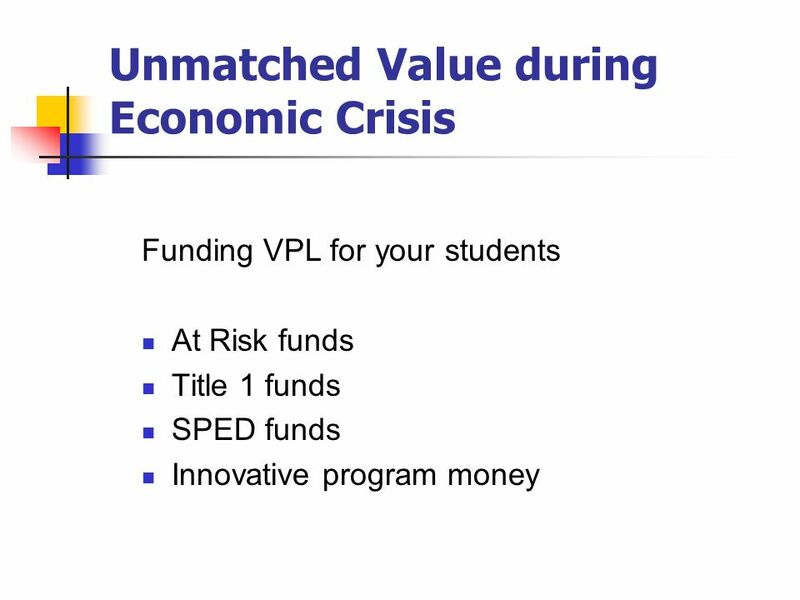 Forsyth County Schools Overview of the Proposed IE 2 Partnership Contract. September 2014 Information Provided by Misty L. Slavic, Director of Curriculum & Instruction.